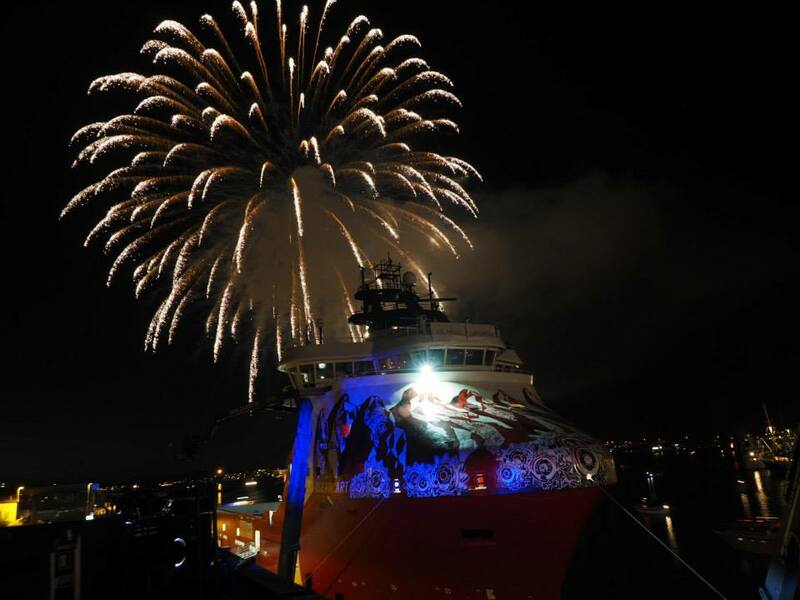 Ocean Art, built at Kleven Myklebust and decorated by M-City and his team, has been named in Stavanger by Godmother Anne M. Sakkestad. 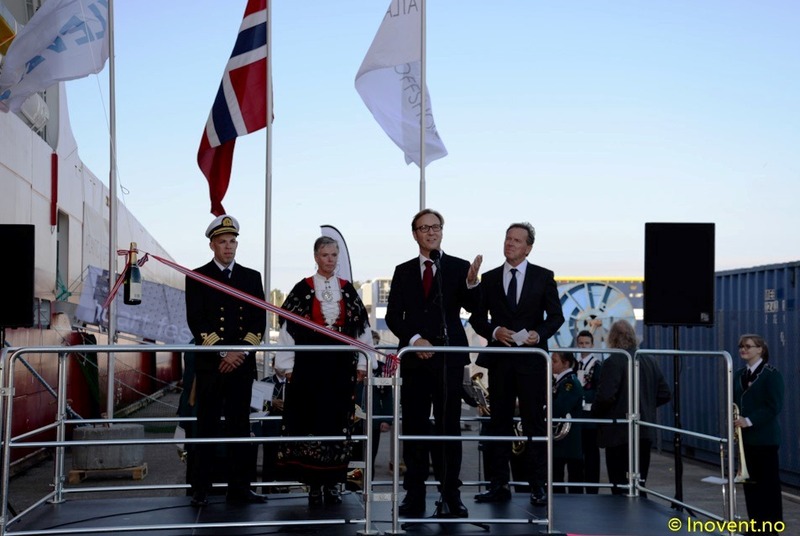 Buøy Skolekorps played marches when people gathered, and played the Norwegian National Anthem after the ceremony. 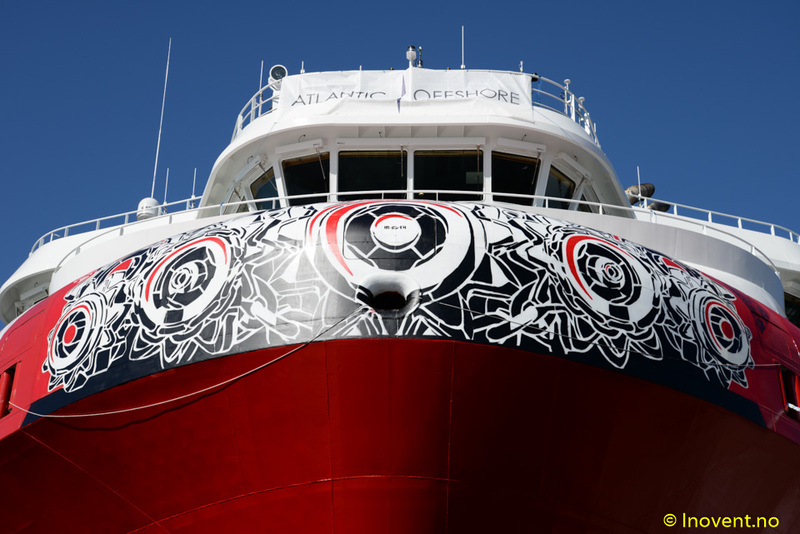 Ocean Art will commence a 6+3 year contract with Statoil, for services in the North Sea. 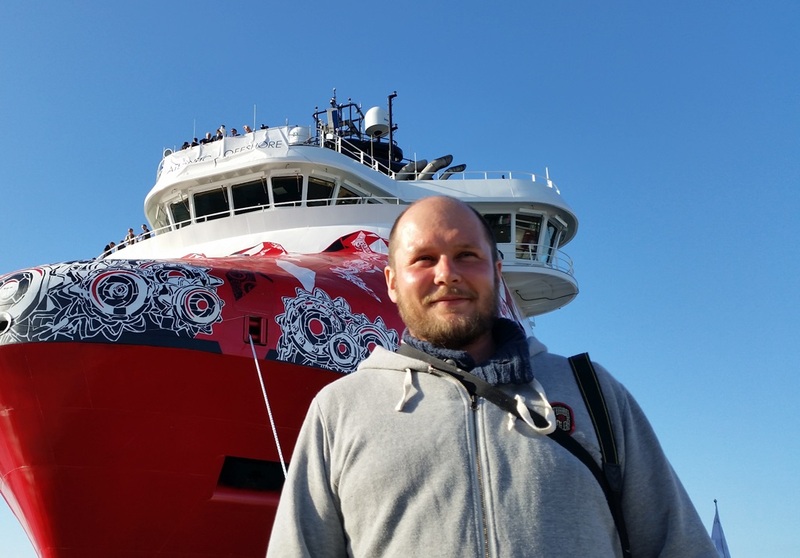 View video of the vessel and the art (in Norwegian).